All aboard the struggle bus! So many of us are in some sort of design budget purgatory—we want something more grownup than IKEA (did you read this article? apparently many of us can relate! ), but we still have sticker shock at places like West Elm and Crate & Barrel. That doesn’t leave a whole lot of options for most of us. I feel like I’ve been living that balance for so long now, and I’ve learned some tricks along the way, so wanted to share them with you. Before I get started on where to shop, I have a few ground rules! 1.) Shopping online reigns supreme, so buying things sight unseen is a risk you should be willing to take—rugs, chairs, sofas, all of it. Yes, even sofas!! The type of decor shopping I’m proposing is already hard and time intensive, so limiting yourself to stores around you—oh boy, that’s a challenge not even I will touch! Online inventory is vast, easily searchable and it’s just waiting for you to take advantage of it. And most online stores have all but removed the dreaded return barrier—these days it can be as easy as putting the piece back on your front porch for pick up. 2.) Be open to non-traditional sites like eBay, Craigslist, Chairish and EBTH. These sites have been written off by traditional shoppers—they can be unfamiliar and intimidating. I know, I get it. They still are for me too! 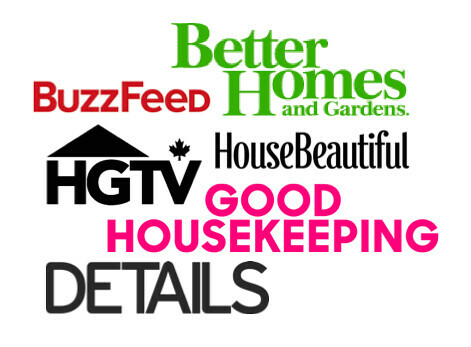 But—spoiler alert—these types of sites are treasure troves for buyers like us. And it doesn’t necessarily mean used stuff. It doesn’t even have to mean showing up at a stranger’s house anymore. Many of these sites operate like your normal Overstock or Amazon these days and access to new, discounted (ding! ding!) stuff is common. 3.) It’s going to be frustrating, time intensive… and totally worth it! It’s going to take some searching and some time (pull something up on Hulu and let ‘er rip! ), and probably some obnoxious returning but the payoff is just so, so worth it. There will be a stretch of time where you feel like you’re finding nothing and want to give up. But keep on—that awesome piece is right around the corner. And in no time, you’ll have a house full of quality pieces that you love, your wallet will still be thick and best of all—you’ll feel like you didn’t have to compromise. OK, now that we have the ground rules, here are the tricks I use to thrive in design budget purgatory. WANT THE SUPER FANCY STUFF? FIND THE SECRET SHOPPING SITES. And I don’t mean the outlet stores, I mean the online, secret shopping sites designed to sell the overstock of some of our favorite brands at a deep, deep discount. Most stores try to hide these sites, while others are more forthcoming. Here are some of my favorites (and of course I had to thrown in some fun finds along the way!). 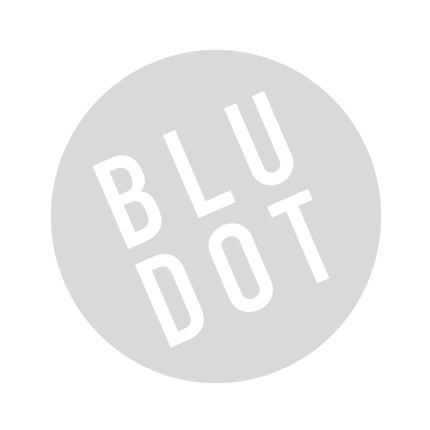 BLU DOT OUTLET – I love this scamp side table for $71 (retails for $179). DWELL STUDIO OUTLET – This $319 Dahlia quilt is just $63! LAMPS PLUS OPEN BOX – This marble and gold table lamp is $41, originally $70. NORDSTROM RACK HOME – This round top stool is just $80 and retails for $230. 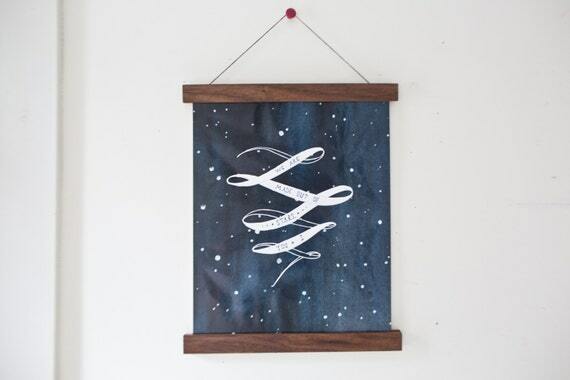 DESIGN PUBLIC OUTLET – This Lisa Congdon for Hygge & West wallpaper is just $45 a roll, originally $125 (My goodness I may have to get this!!). I’ve been shopping a lot of independent stores lately—mostly due to selection and price. I’ve been finding that the small shops have even better prices than their big box, higher-end counterparts and the quality is just so, so good. It makes sense—small shops do not have the overhead that the big stores do, which means they can pass great, quality handmade pieces on to you for a little less. Heck, even if prices are a little higher, it feels good to be supporting a person you’ve “met,” their family and their passion. Here are some of my current favorites. LUCENT LIGHT SHOP I’ve talked about them recently—we’re using one of their ceiling lights in the nursery design—and I’m already looking for another spot in the house! Pricing is incredibly reasonable, and they’re super cool modern designs. 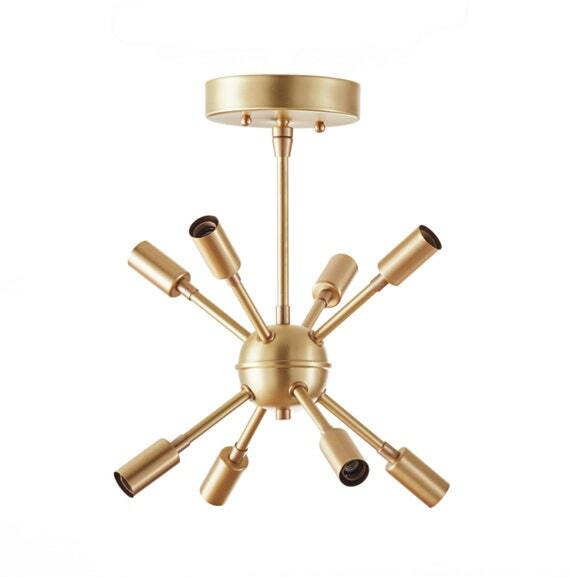 I love their take on the sputnik—mini sized for $179! THE DHARMA DOOR – Dharma Door has been my go-to when I need my natural, woven material fix. It’s all beautiful and ethically made—I’ve been eyeballing this macrame wall hanging ($95) for awhile now! ONE FORTY THREE – A master of molded plywood, my first interaction with Logan of One Forty Three was when he was making dollhouse furniture. He’s more into the adult stuff now, like these plywood wall hooks. WHISKY GINGER – Whisky Ginger is out of Paw Paw, Michigan and sells lots of different handmade and vintage wares, but I’ve recently fell in love with their magnetic poster holders ($23)! It’s been a great, more affordable framing alternative for me, especially for odd size prints and posters. There is an entire underground community of people who buy pallets and truckloads of overstock furniture and decor. They buy it, bring it home to clean and tag, then sell it to people like us for a profit. Your job is to find these people. They often don’t have websites or social media, so finding them and their inventory is tricky business. With a good eye though, it’s fairly easy to start spotting these folks as you browse, mainly via sites like Craigslist and eBay. For you Cincinnatians, this is how the infamous Bargains & Buyouts got its start. For example, I’m in southern Indiana a lot so I tend to include that area in my Craigslist searches. I started to notice that several of my rug searches resulted in listings with the same location and listing style. Ding, ding, ding! I found a woman with a warehouse full of rugs for great prices! That I get to see in person! My most recent find in this category is an eBay store called Pacific Home for rugs. We’re talking good quality rug brands (mostly Safavieh) at really fair, negotiable prices. And free shipping! Each rug has some sort of flaw, but many are just a stained corner or a dirty backing. All easily fixable in my opinion! We’ve all shopped places like Overstock, Urban Outfitters, World Market, Target, Home Decorators, etc. Those places are awesome, but I’m ready for some fresh meat, too. Lucky for us there is a whole new breed of discount decor retailers all ready and waiting for us. Here are the two that have popped up on my radar recently, but don’t have a ton of experience with either. Anyone? So those are my tricks! Lots of internet sleuthing and shopping, really! I’m also always learning, so I’ll update this post as I go, but in the meantime, I’d love to hear any tips and tricks that you have! Love this post! Thanks for the great tips…after my ‘faux leather’ couch completely fell apart on me this year, its time to start scouring the earth for a better one. Wish me luck! I always feel so offended when a piece of furniture gives up on me! Good luck in your search! great list – thank you! also, love the idea of the poster holders. I have one ordered for a larger poster… can’t wait to see how it looks. I will share! Great post! I was hoping to hear a little bit about any places you shop locally 😉 I’m in cincinnati and I really like to touch before I buy. I know I know. A couple I do like… Left Coast Modern, High Street, Elm and Iron!! That’s on my “posts to write” list! Both the boutiques you mentioned and the bargain/overstock stores. We are lucky to have a lot of both around here! Lively post – thanks for taking the time to put such thought into this! However I would NEVER buy a couch/sofa online unless it is one that is just for show (or pictures). I am 57, have only bought two sofas in my life, but the feel was so important to me I had to sit on it before I purchased it. I cannot even begin to estimate how many couch/sofas looked wonderful in pictures or on the showroom floor, but the very minute I sat on them they were off the list! Maybe this is a strategy if you live literally in the middle of nowhere, but if you live within striking distance of a reasonable number of stores, I would definitely try them out! Oh, I try them out. It’s just that I ship them to my house to try them out. I usually get lucky on the first or second try, so it’s not really a hassle! I’m getting really good at re-packing furniture for return delivery. It’s worth it to me—we just don’t have any stores around here that have the style of sofa I’m looking for. Or at least, one that is in my price range! Fun post–this gives me lots of new places to check out! We’re going to Ikea Sunday for our annual Superkea Sunday trip, but I’ve realized the only stuff on my list is for the trailer + some furniture for Abe’s dollhouse. Oh, and cutting boards! Ha! I love that tradition of yours. It’s genius. I think we’re always going to need IKEA for that kind of stuff. I just realized that our old IKEA skillet’s coating is chipping and now I’m scheming to get back to get another one. That thing lasted us nearly 10 years! I will be patiently waiting for the IKEA post! I love seeing pics of the empty aisles… especially with the Falcons playing! I have bought quite a few things on Chairish and my advice for these kinds of sites is not to be afraid of making an offer. That option is there for a reason. I have never made an offer that wasn’t accepted. Usually I have a pretty good sense of what something should worth and whether or not something is already a good deal. The idea is not to insult but to engage is some respectful bargaining. I have also made good use of google shopping. When an item is available at several stores, click the “total price” column to see which shops sell it for the least. The difference can be amazing! Good luck! Great tips Adriana! I feel the same way you do! I was always so afraid to make an offer (even with the button right there glaring at me), but you’re right—I don’t think I’ve ever had an offer turned down. I’ve never used the Google shopping trick! I will have to remember that!